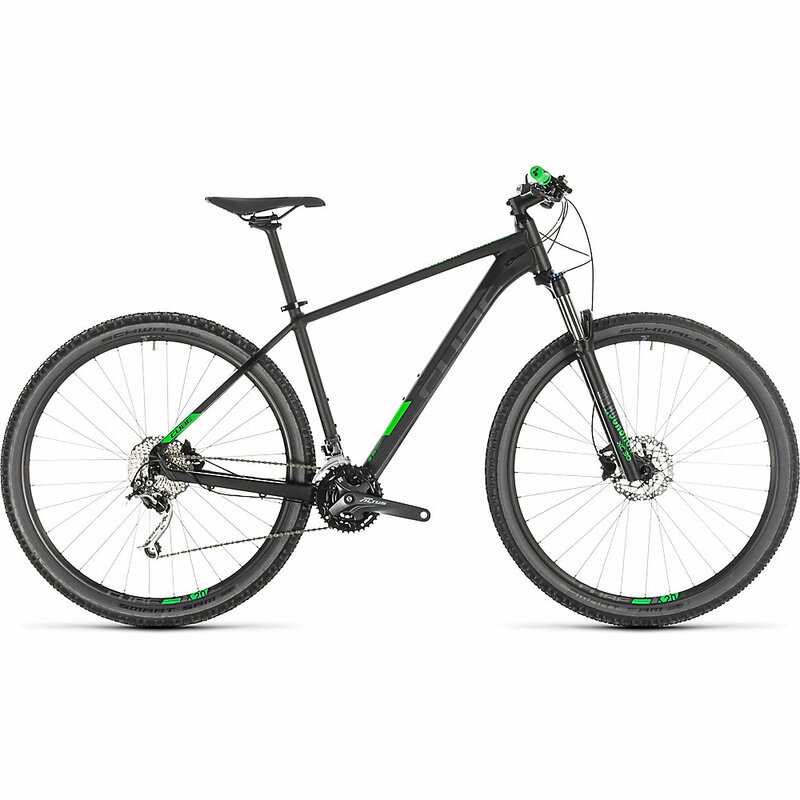 Looking for a great budget bike that you can ride nearly everywhere with minimal issues? The Cube Analog might just be the perfect fit for you. If you have your sights set on a bike that isn’t too expensive but still has some great features and options, this is it. Perfect for the cyclist who doesn’t want to push their bike too hard. One of the best things about this bike is the range of options in terms of size. We picked a couple of sizes so we could get a better feel of the entire range. Whether you’re a smaller rider or a tall one, the Cube Analog is going to have a fit for you. The fork is an SR Suntour XCR32, which isn’t the best of the best, but it definitely has its perks. We were pleasantly surprised by the remote lockout as well as the rebound control features of the fork. While it is classified as a budget fork, it certainly doesn’t feel like one. The damping was so good that we were able to keep the front under control in all but the toughest terrain. The frame, we noticed, was really well-made. It had great positioning for the cables that ran through and along it, coupled with a 27mm seat post. The problem wasn’t that the frame was badly made, but that it was a little too tall, thereby making us feel a little cramped and making it a little harder to change direction fast. The stem can’t be dropped too low either, which adds to the excess height of the frame. The seat post also had the right amount of flex to allow for more comfort on bumps as well, which felt great, although it didn’t take all the sting away. It is a micro adjust, twin bolted post, so we had no trouble at all setting it up for the review and testing its durability. The post ends in a comfy saddle that we were more than happy with. While the mechanism is of good make, it doesn’t ooze awesome like a more expensive bike would. However, it does serve its purpose incredibly well. The Shimano M355 brake system felt great, with more than enough power to brake the bike at the last minute. Overall, the Cube Analog is definitely a bike for the casual cyclist on a budget, which has its perks and its shortcomings. If you want one that will serve you well on rougher surfaces or MTB trails that are a little more extreme, this may not be the bike for you. It works great on casual terrain with relative smoothness, is damped exceptionally well, and is worth the money you pay for it!